The "XXI. 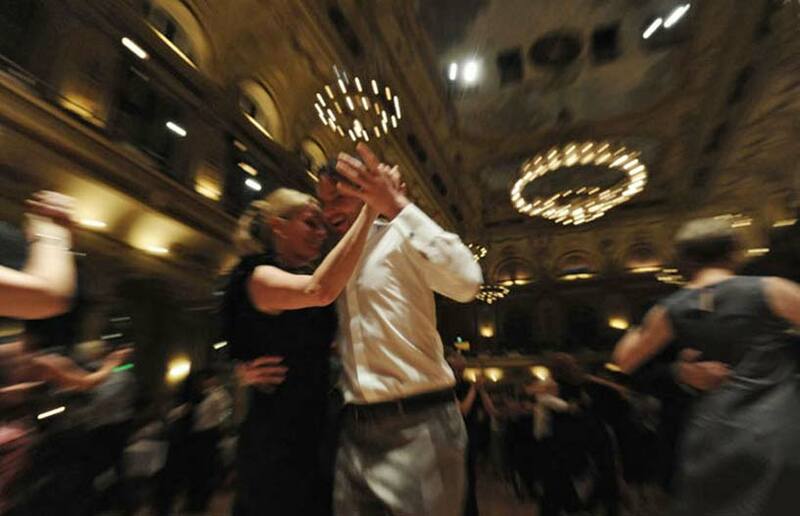 Ball Tango Argentino" in the fantastic atmosphere of the great ballroom of the "Historische Stadthalle" in Wuppertal is one of largest and most popular dance evenings of its kind in Europe. It is the central event of the year for dancers and "aficionados" of the authentic Argentinian tango. The first Ball took place at Pina Bausch "Tanztheater Wuppertal" 25. anniversary in 1998. The "XVII. Ball Tango Argentino" forms part of the "Int. 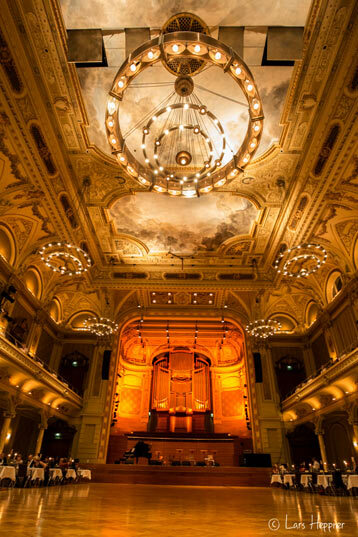 Tango Festival Wuppertal". The festival will consist of dancenights, shows, workshops and many other events related to the Argentinian Tango. The Wuppertaler Tanztheater of Pina Bausch, many of whose members are tango fans, and the town’s pulsating dance scene have given Wuppertal a title to fame which extends far beyond the region. The appearance of world-class dance couples who combine sensuality, elegance and breath-taking musicality, is the thrilling high point. As from 6.30 p.m., the "Expo" in the foyer will provide information and the opportunity to buy accessories, books and CDs, etc connected with the Argentinian Tango. Hundreds of dancers fill the big classic "grán milonga" dancefloor. In a second room is the "Tango Flavour Lounge", a neo- and experimental Tango dancefloor and chill lounge. On the highest point of the night an argentinian showcouple will present the late dance show. 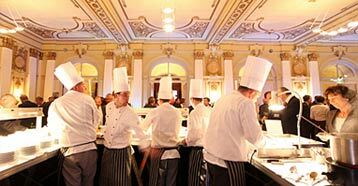 You´ll find the menue here ... "Expo & Culinaria"